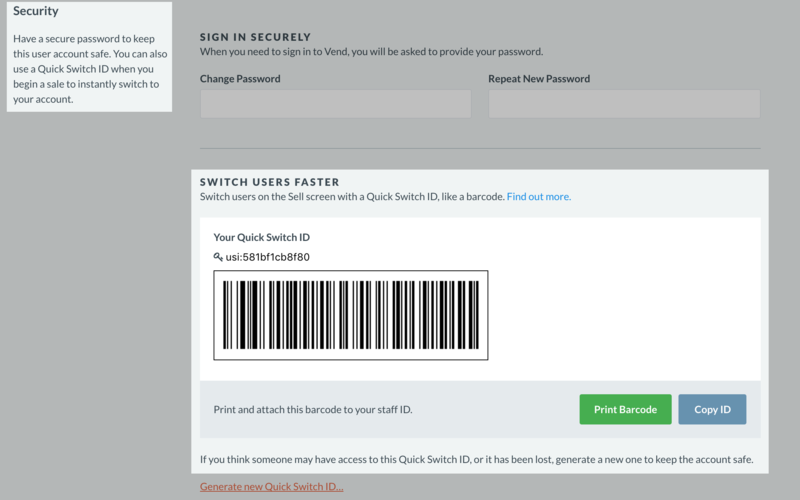 Quick User Switching in Vend – How can we help? 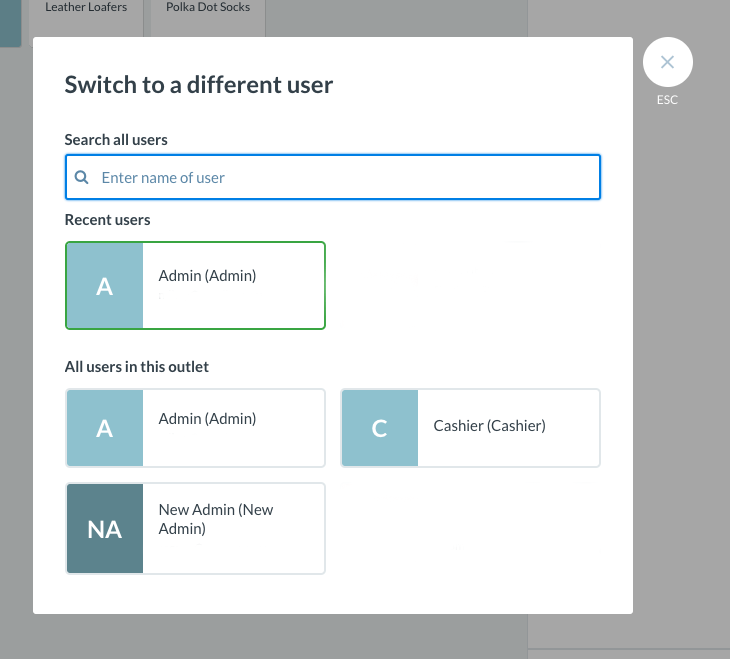 Your store users in Vend can now switch to their profiles by scanning in a unique user barcode into Vend's Sell Screen. To learn how to access, print and use these barcodes, follow the steps below. All existing users in your store will now have a unique user barcode attached to their user account in Vend. To locate and print these barcodes, navigate to Setup -> Users in the sidebar and click on an existing user. Here, you will be able to view and print this user's unique barcode. Once you've printed out your user barcodes, you will be able to scan them on the sell screen to quickly switch between user profiles. 1. Navigate to the Vend Sell Screen. 2. Take your scanner and scan in the user barcode for the user you would like to switch to. The unique barcode will be entered into the product search automatically. You will notice that your active user profile has now changed. 3. If for any reason, you are not able to scan a user barcode, you can also choose to enter the barcode manually into the product search field. 4. Alternatively, you can click the current username in the top right corner of the Vend sell screen (or in the menu bar of the Vend iPad app). 5. Click on Switch User and the switch user screen will appear. 6. On the switch user screen, you may either scan the unique user barcode into the search box, type in the name of the user or find the user profile you want to switch to. Click on this, and you will switch to a different user.